2012 is coming to a close as winter deepens its grip in wild horse country. 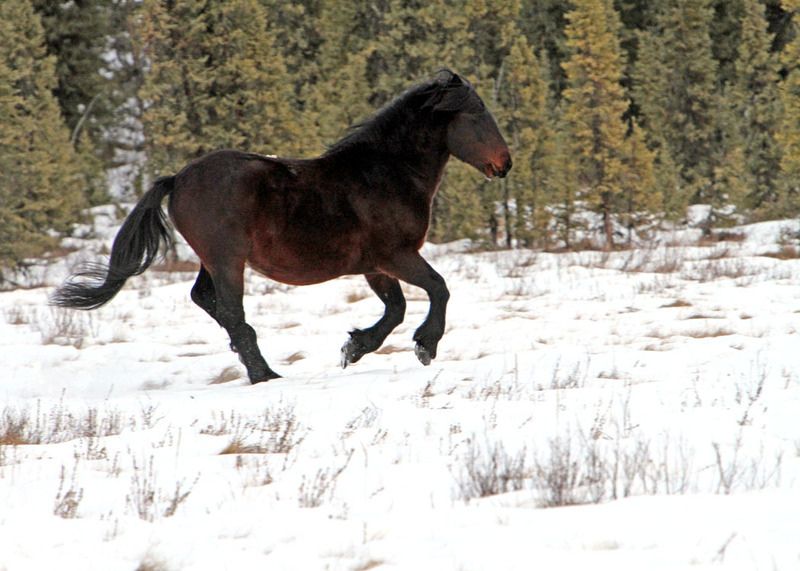 The forests are quiet now and the horses and other wildlife have settled into their winter survival routines. 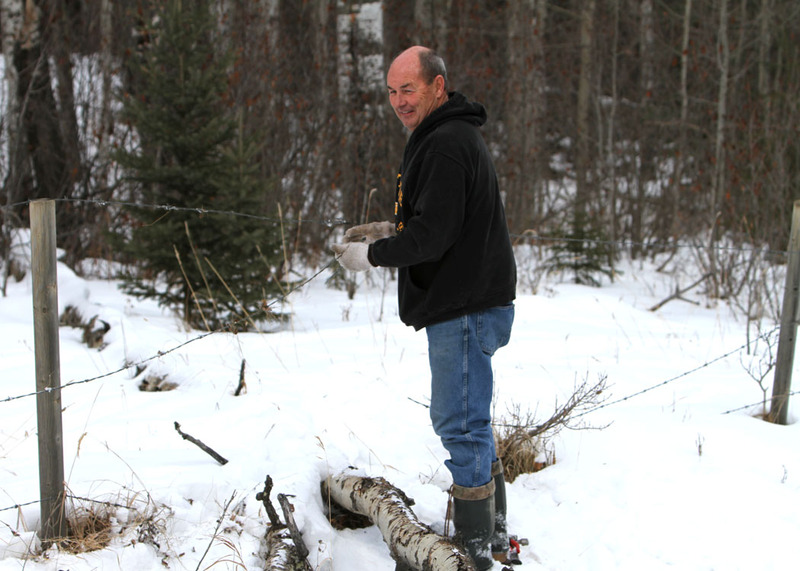 Although the snow is deepening quickly out there, it is still soft and allows for easy foraging for all. All the horses and other wildlife we’ve come across have excellent winter coats and are in good condition to face what is yet to come. 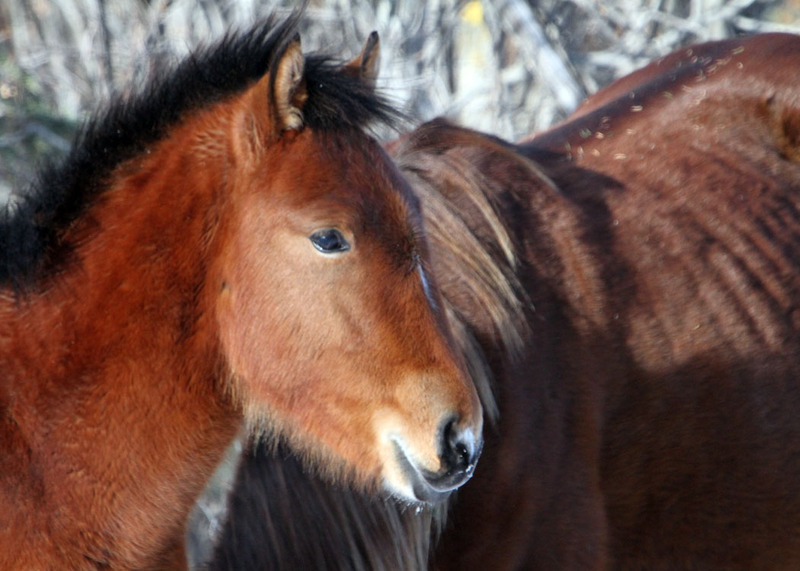 A lot of the wild horse mares are now starting to show the signs of the new life that they are carrying within them. As far as word from the government if there is going to be a capture season, we understand from the Minister that no decision has been made. The consultant’s report, based on the input from all stakeholders, is still being reviewed. We have had an overwhelming response to our requests for email and letter writing by concerned Albertans and Canadians asking the Minister not to have a capture season this year. My email box daily is filled with messages offering moral support in our efforts to save the wild horses. We still encourage all of you to continue in your messages to stop a capture season this winter. 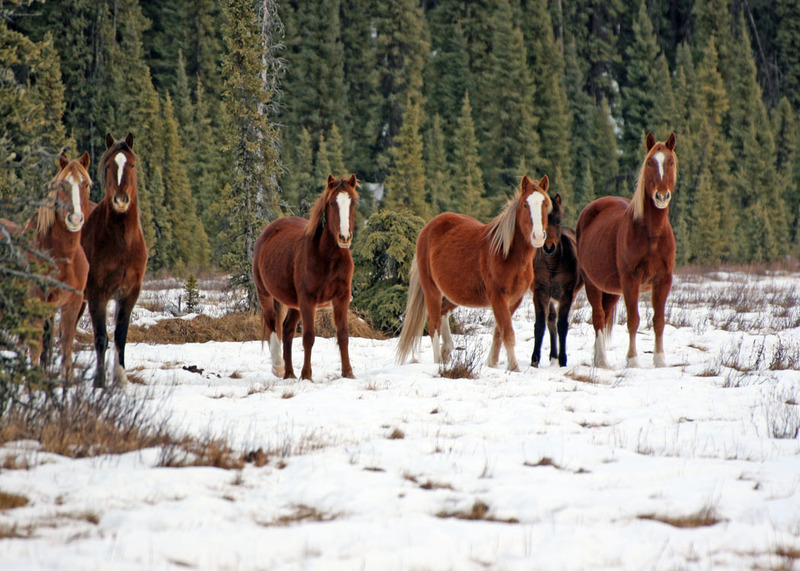 It is time that the ESRD and the Minister started listening to the majority of Albertans instead of a very small group of those who use our land for their own financial benefit and are opposed to sharing it with the wild horses. 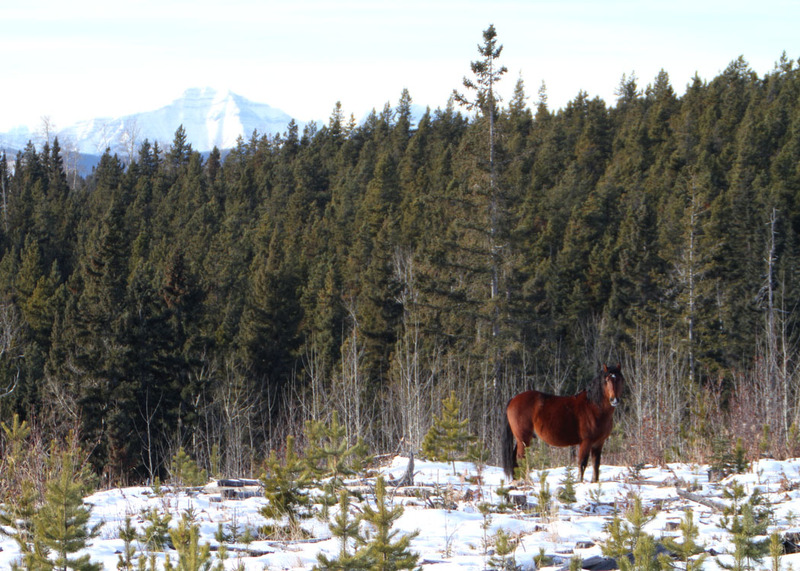 One of the problems that a very small number of wild horses get themselves into is in the area right along the forestry reserve boundaries. Here fences that are supposed to be maintained by government, lease holders and/or property owners are in poor repair. A broken top strand or two allows the wild horses to walk over or jump the fence in order to gain forage along the road allowance or in private pasture. Several times in the past we’ve been called upon to assist in moving these wayward horses back into the public forestry. In doing this we have also assisted in fence repairs and/or providing supplies to remedy the fencing problems. Such was the case just this last weekend when it was reported that there was a herd of wild horses out on a road allowance and outside the forestry reserve boundaries. The problem with this is that at that point the horses become a target under the Stray Animal Act for anyone to legally(?) remove them. So responding to this, we travelled out to the area and found the “bad horseys”!! With the aid of our trusty dogs, we managed to move the herd back into the safety of the forest and then set about repairing spots along a half mile of fence line. Wrong gloves for barbed wire fence – ouch! At this time of the year, we would like to thank all our supporters for their words of encouragement in our efforts to save our wild horses. 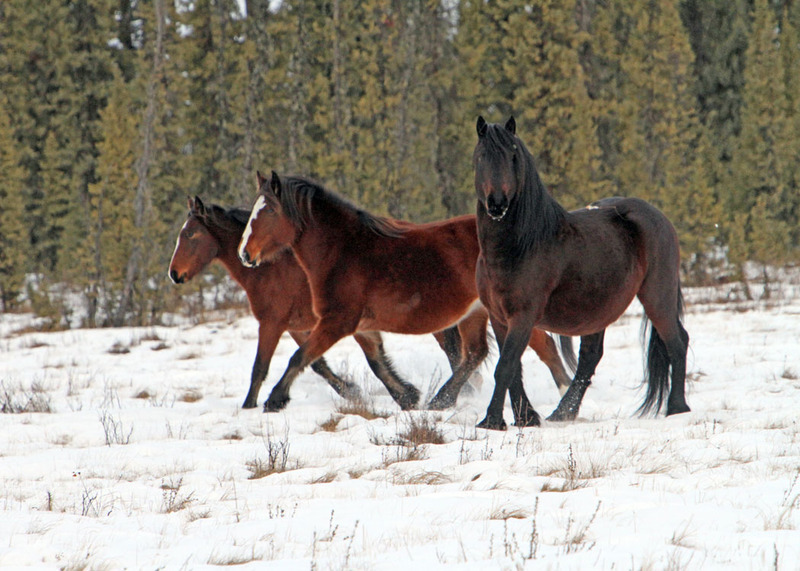 On behalf of the wild horses, we would like to wish everyone season’s greetings. We would also like to say thank you to everyone who purchased our calendar, but that as of December 22, it is sold out. Dashing through the snow – where’s the sleigh?